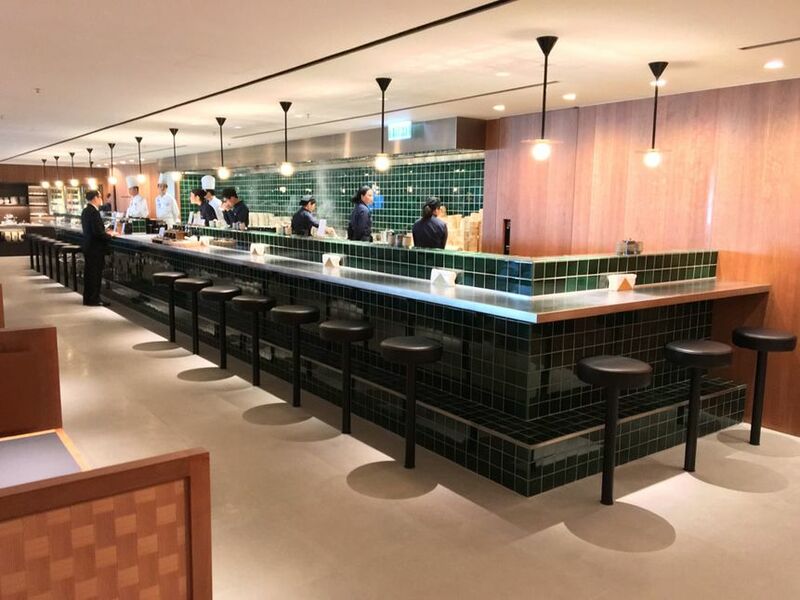 Cathay Pacific will re-open its flagship The Pier Business Class lounge at Hong Kong on Satuday June 18 after an almost year-long make-over, with the new lounge taking the crown as the largest in the worldwide CX network. 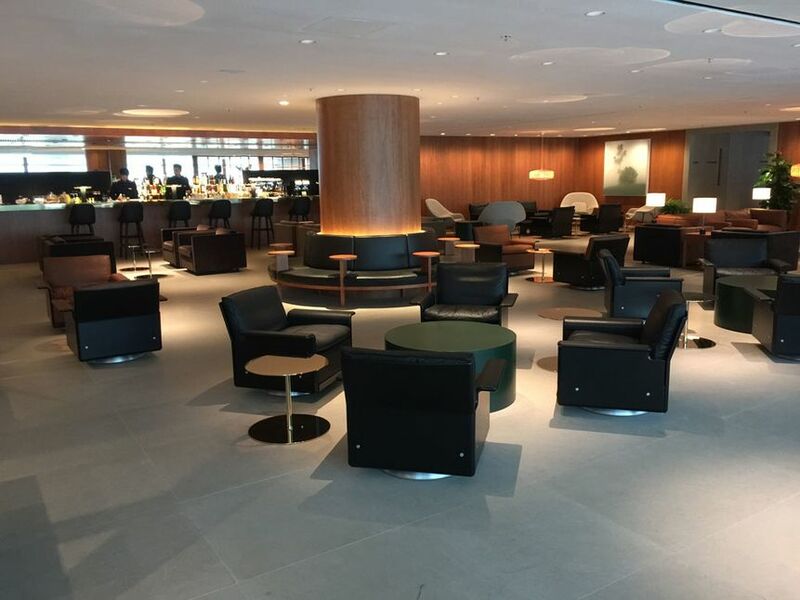 Although not due to open until early June, Australian Business Traveller can present an exclusive sneak peek at the lounge. 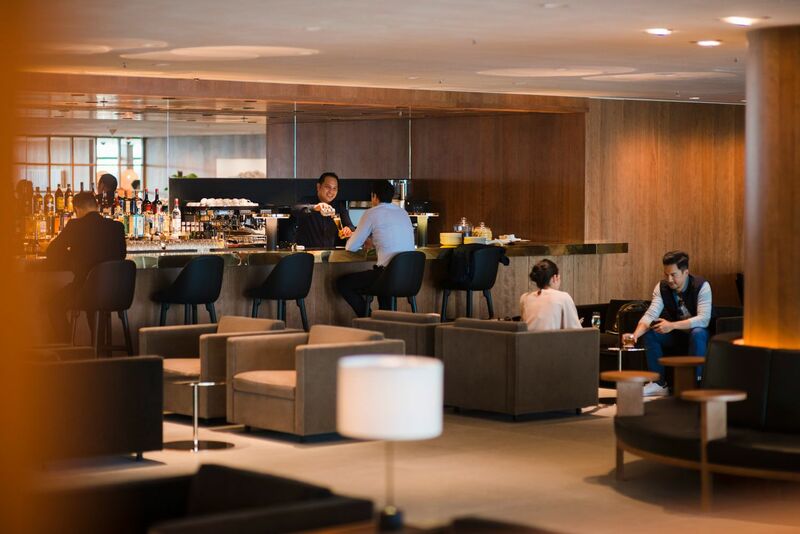 With seating for 550 travellers, the lounge’s overall footprint occupies some 3,300m2 – making it almost one-third larger than the old business class lounge. 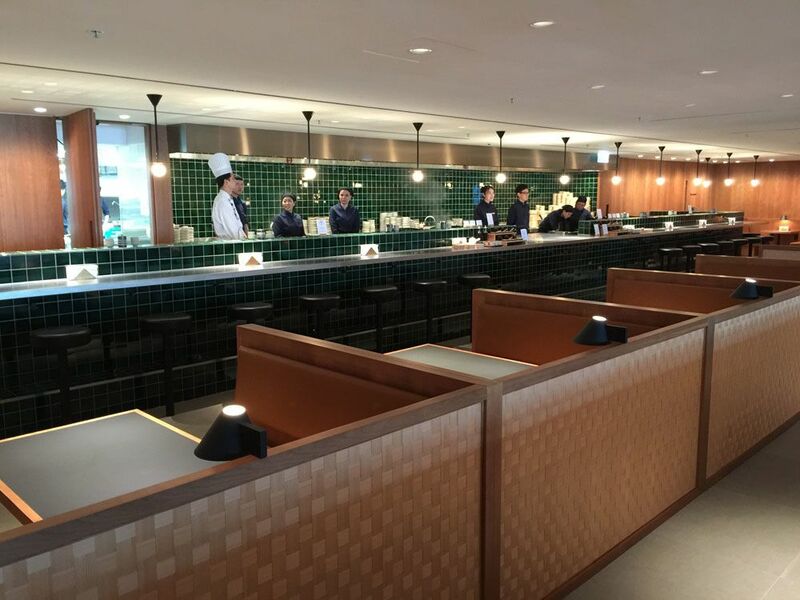 And Cathay Pacific will need this space, with the lounge expected to host upwards of 2,000 travellers each day. 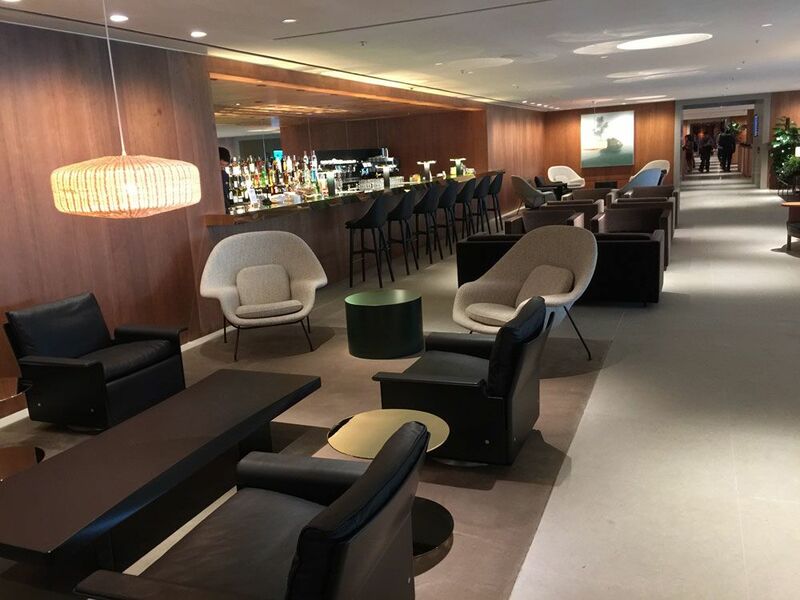 The Pier Business Class is based on the elegant design template crafted by London-based StudioIlse and already seen to best effect in The Pier First Class lounge (below), which we now rate as the world’s best first class lounge. 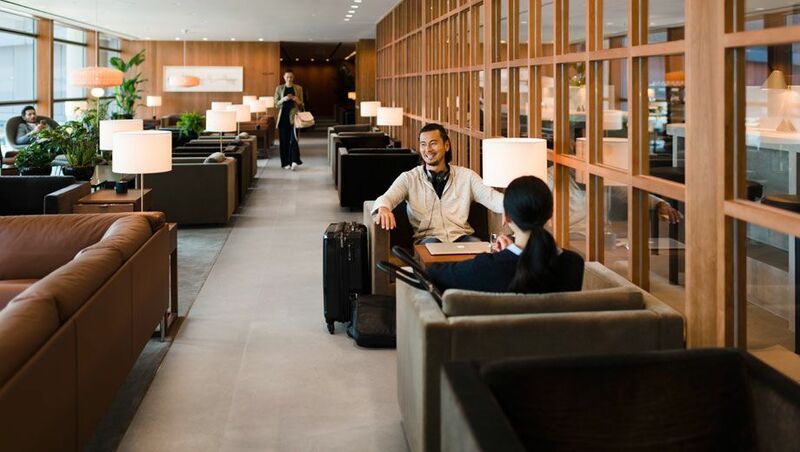 At the same time, The Pier Business Class Lounge sports its own unique identity. 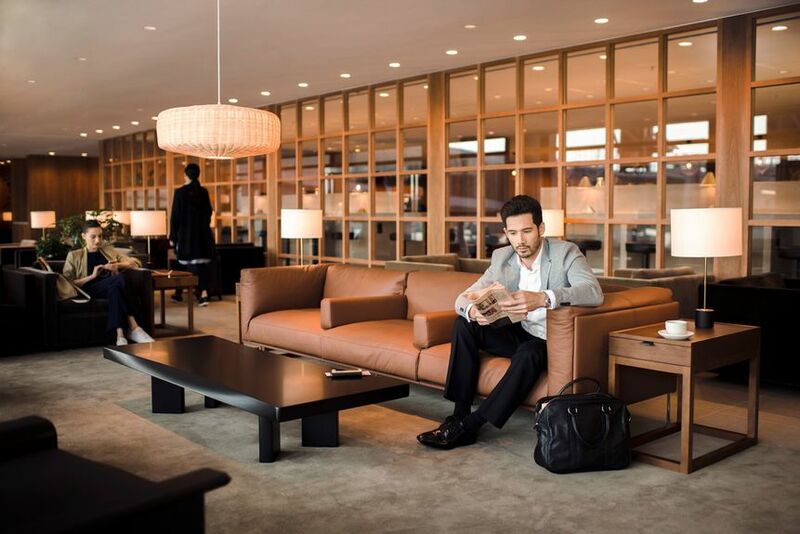 While The Pier First Class Lounge looks like an upscale apartment belonging to a friend with an abundance of money and good taste, Cathay Pacific explains that the long space of The Pier Business Class Lounge is modelled on a 'street' divided into seperate zones, which go from fast-paced to slow-paced as you move through the lounge. 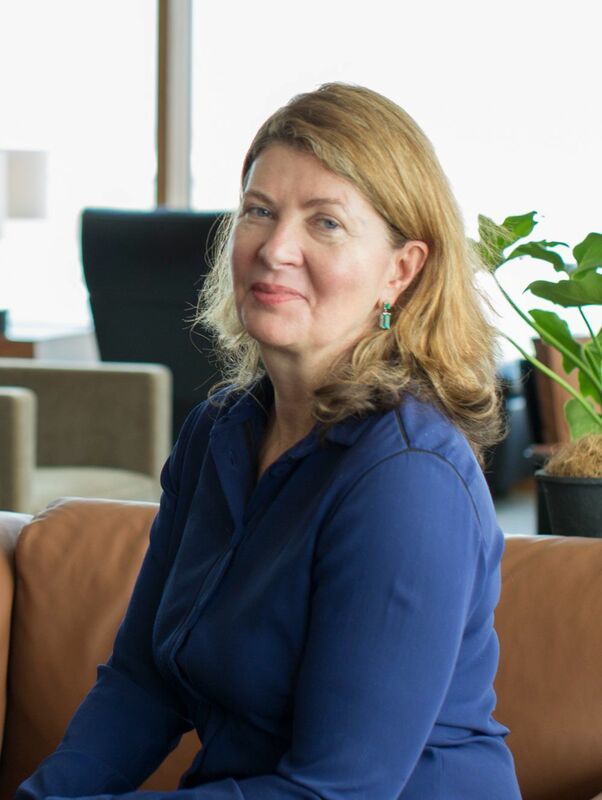 "Travellers can feel a little bit disorientated and tired, and lounges often don’t help you by creating a big, big space with many niches" StudioIlse founder Ilse Crawford (below) told Australian Business Traveller ahead of the lounge's renovation. Ilse Crawford: "we really try to think through the customer's journey"
"So we’re trying to create something that is more like a real space and has rooms, and also a connection of the rooms which makes sense, to create a layout that's intuitively easy to navigate." The lounge's spine, or 'main street' if you will, begins with a dining area dubbed the Food Hall. 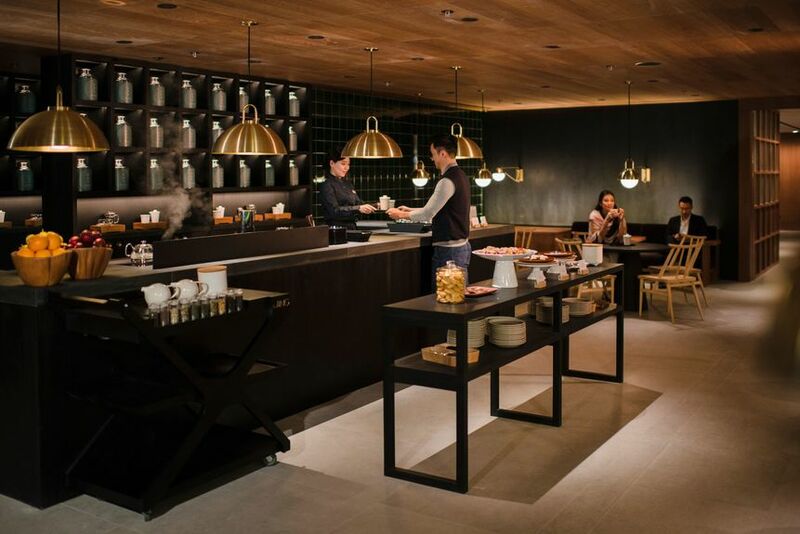 ... along with a coffee cart where travellers can enjoy a barista-pulled boost. 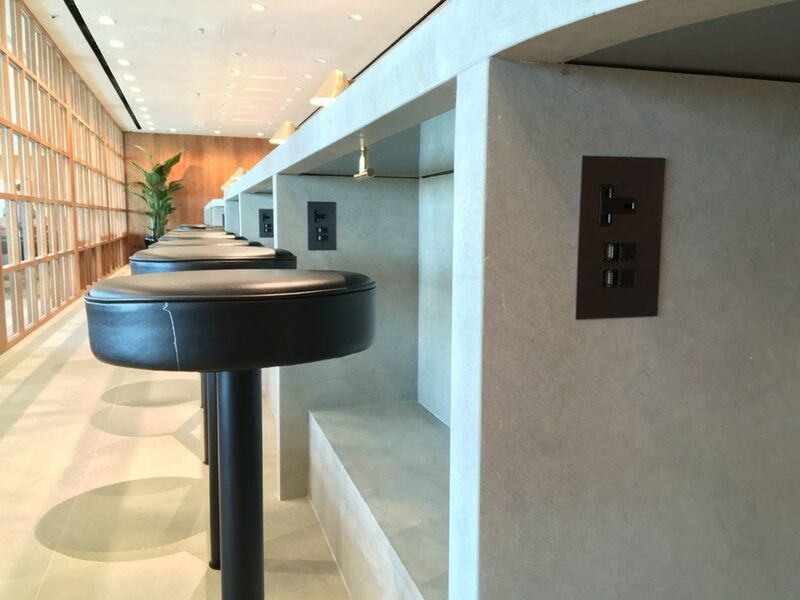 ... and if you park your bum at the marble bench, handy AC and USB power sockets are within reach. 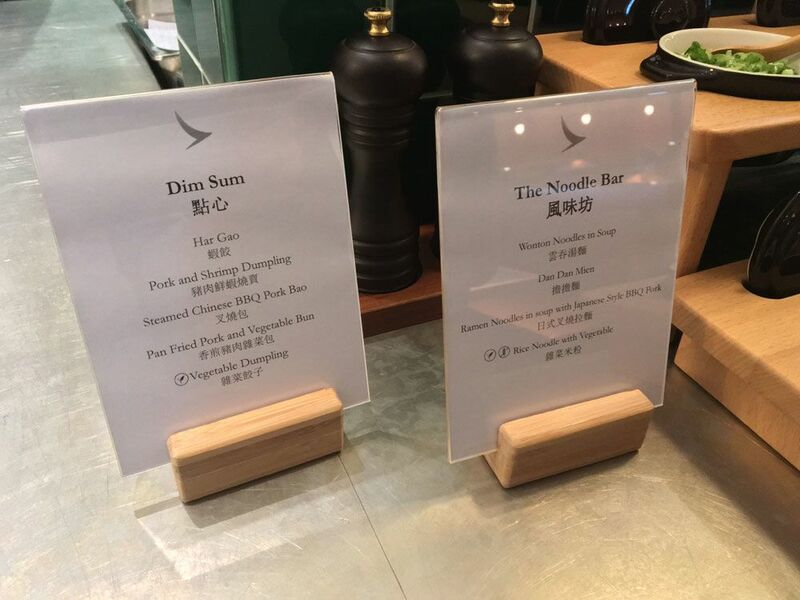 Just beyond The Food Hall is The Noodle Bar, which has become a fixture in Cathay Pacific lounges. 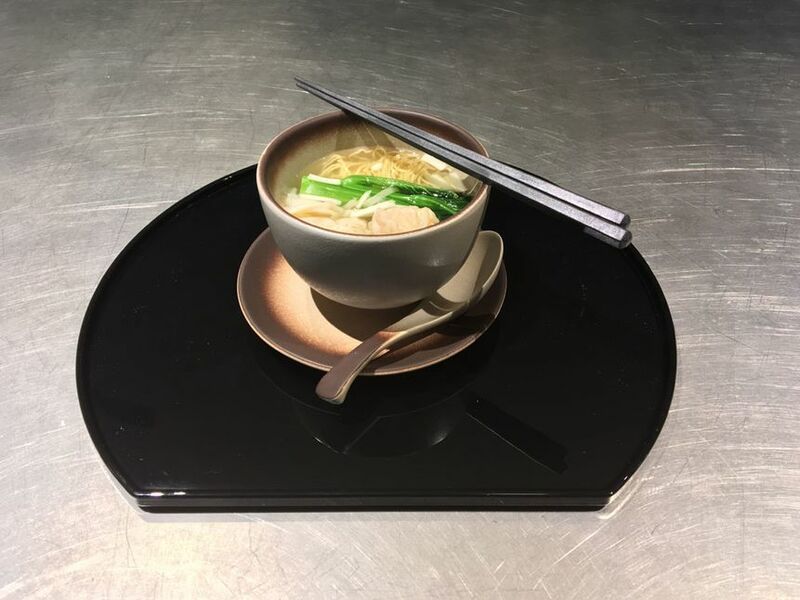 The variety of signature noodle dishes and dim sum make for familiar fare. 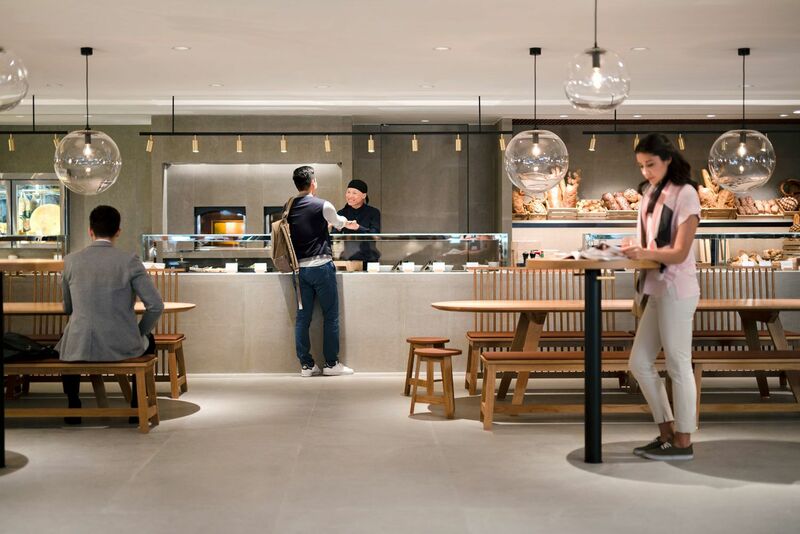 Keep moving beyond The Noodle Bar, and this is where Cathay Pacific starts to shake things up. 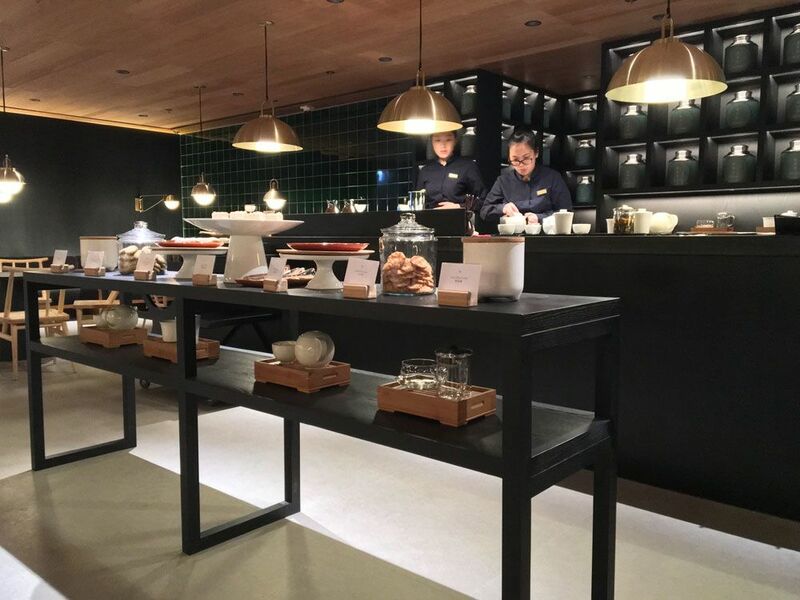 First: a fully tended bar serving spirits, cocktails and wines. 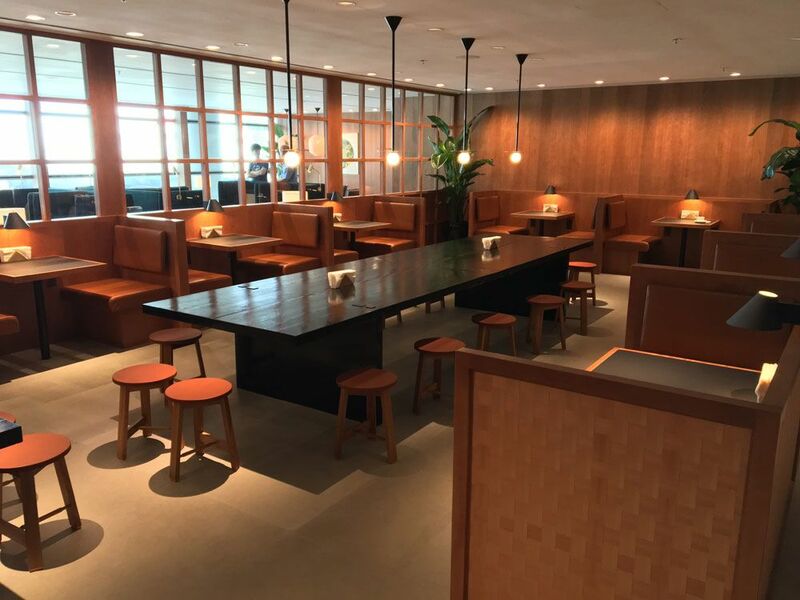 It's the sort of stylish, classy space which you might expect to find in another airline's first class lounge. 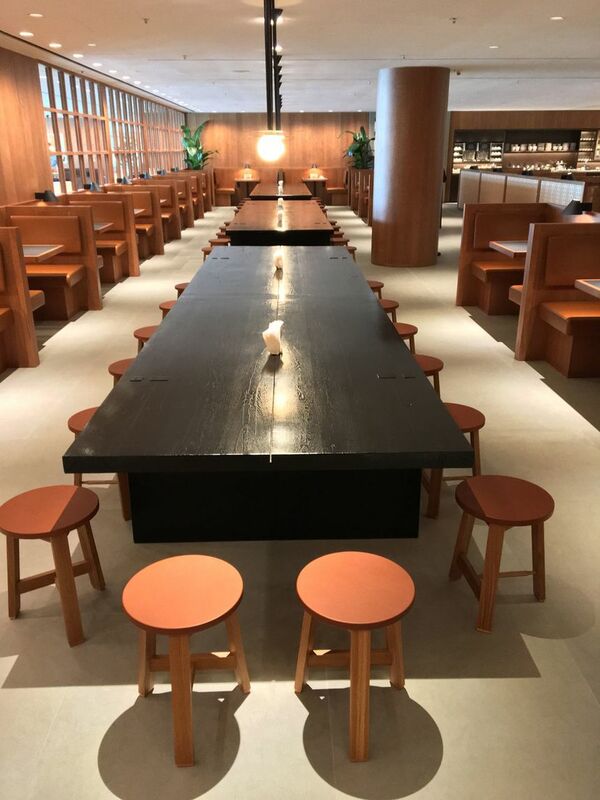 Sit and sip wherever you want: there are couches for couples and groups, plus chairs and barstools for solo travellers. 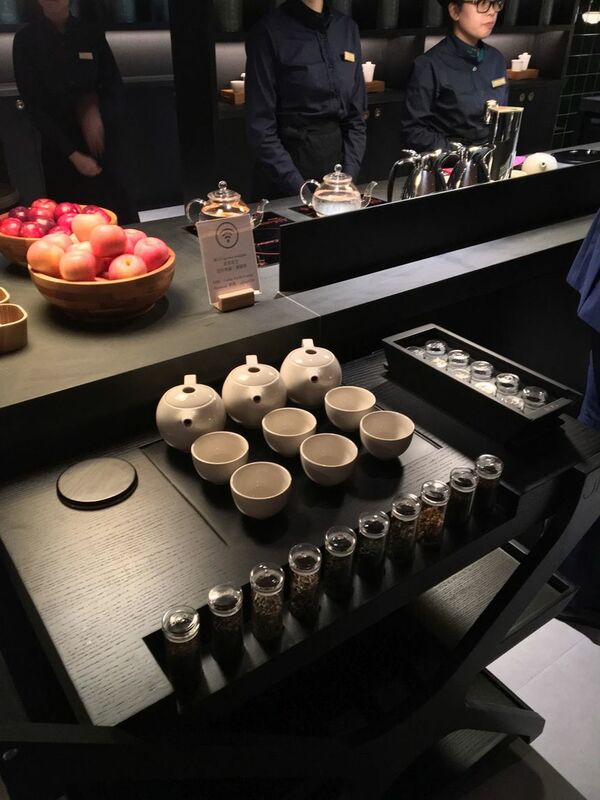 If you're rather green tea than gin & tonic, keep walking until you reach The Tea House. 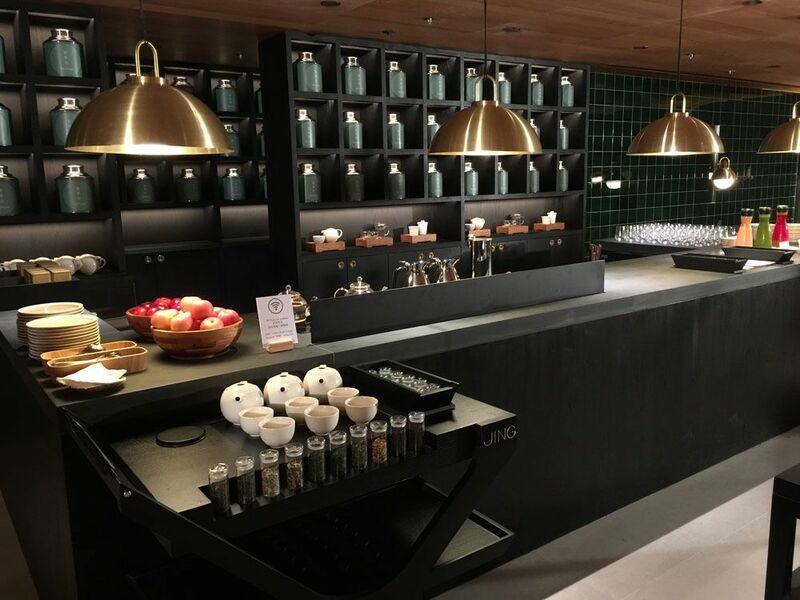 This is a 'first' for Cathay Pacific, created in conjunction with UK-based tea specialist Jing. 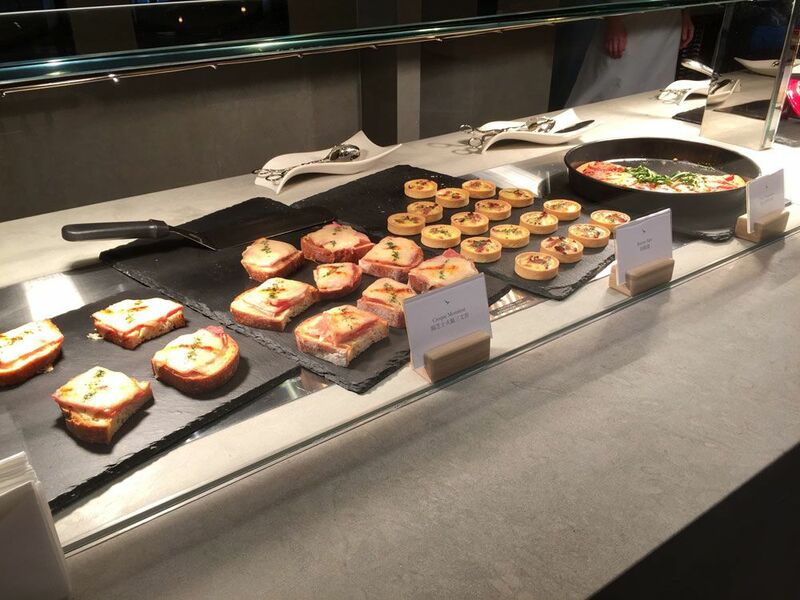 ... along with a selection of sweet and savoury snacks. After all that, how could you wind down ever further? 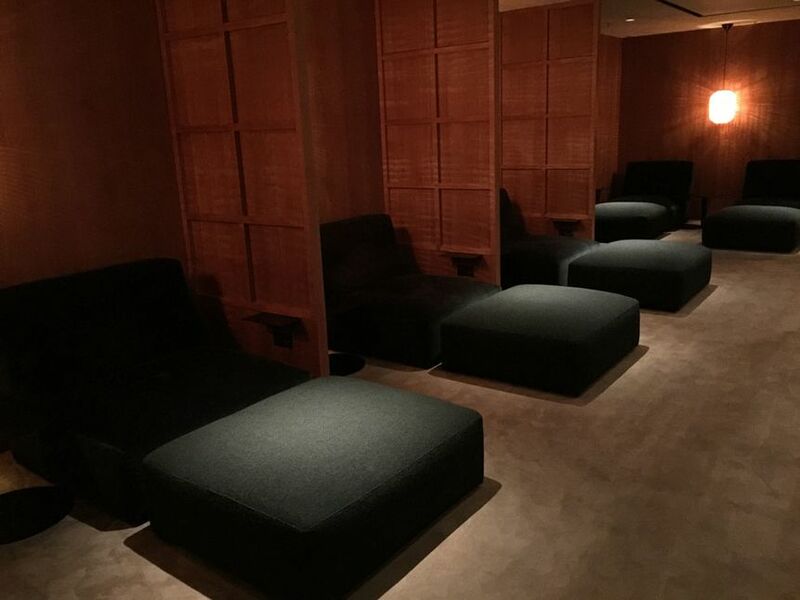 Nestled at the very end of The Pier Business Class Lounge is The Relaxation Room: a calm, quiet zone with 14 low upholstered daybeds and footstools where weary travellers can relax or nap. 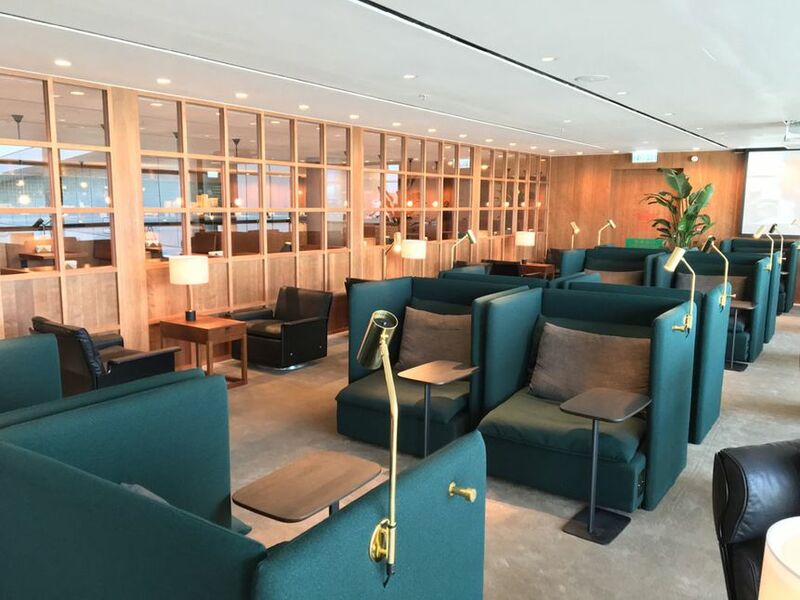 Ilse Crawford describes as "a little bit more democratic" version of the Day Suites in The Pier First Class lounge (below). 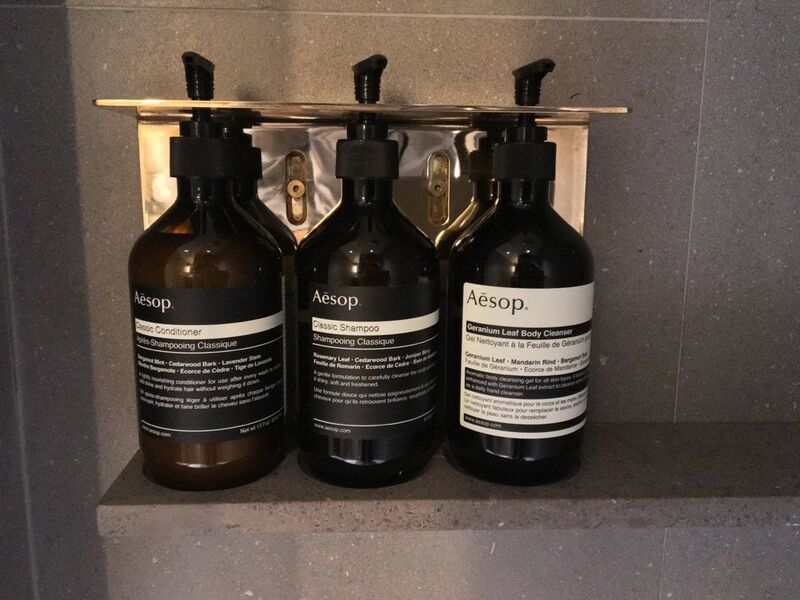 Adjacent to The Relaxation Room are fourteen spacious and well-appointed shower suites stocked with Aesop products. 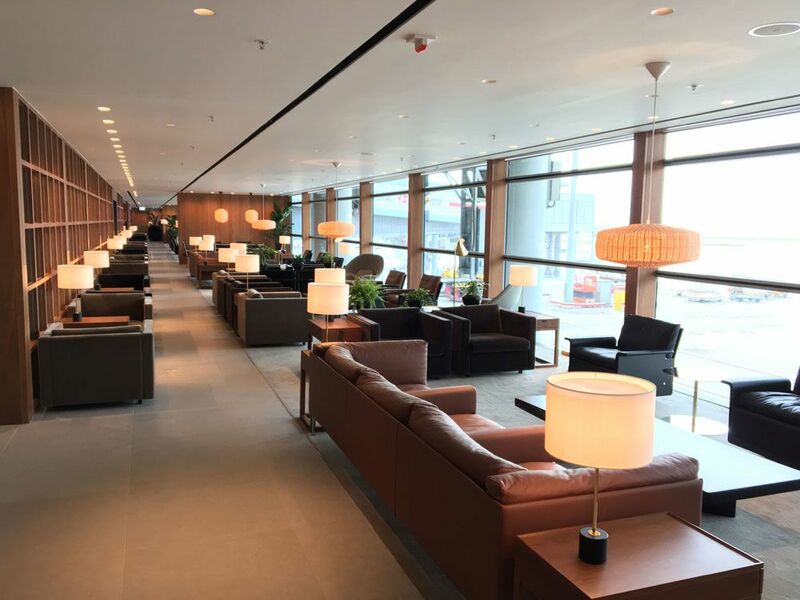 That covers the main part of The Pier Business Class Lounge, but there's a smaller, secondary 'street' branching off the reception area. 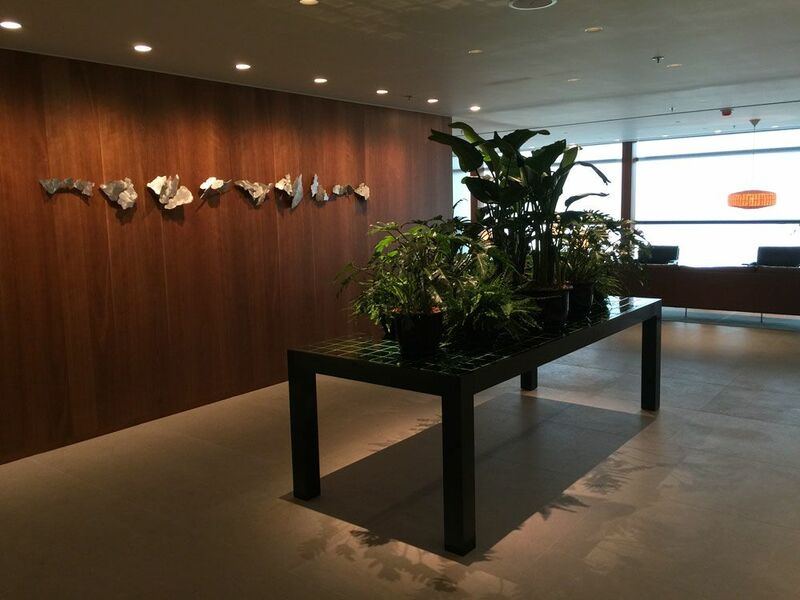 This opens onto a long sitting room with views over the airfield. 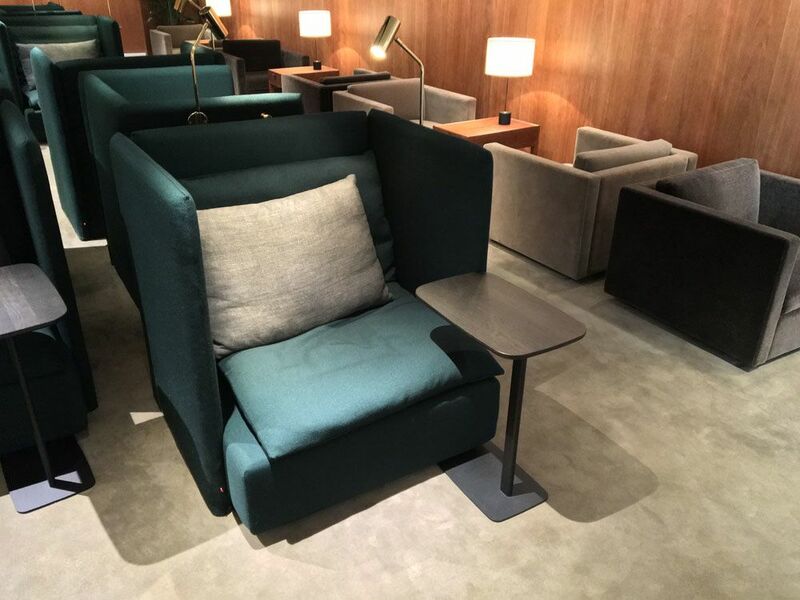 This includes the new Solo chairs, crafted specifically for Cathay Pacific by Crawford's team to mesh perfectly with the lounge's relaxed residential vibe. 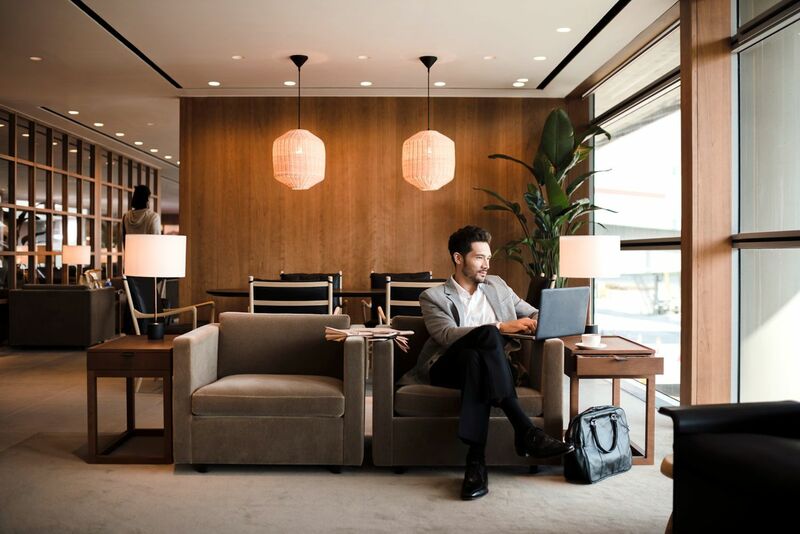 The Solo is a rethinking of the Solus workstation which has become a hallmark element of Cathay's previous airport lounges blueprint. 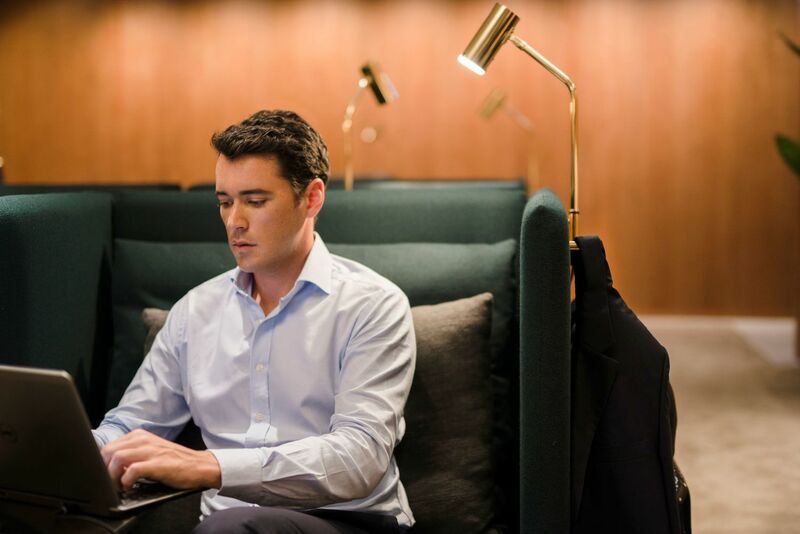 Like its sharply business-minded predecessor, the Solo offers a high-walled nook where travellers can work or relax, and includes a side table, reading lamp and a coat hook. 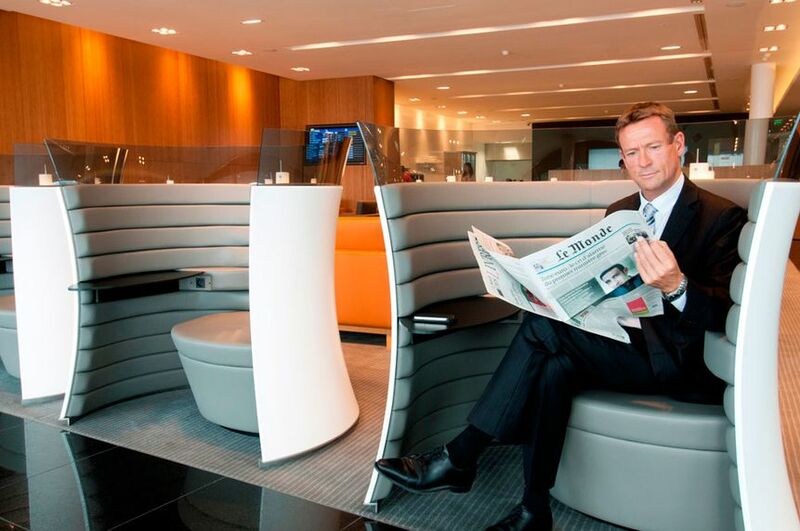 But the plushly padded Solo seats are noticeably more spacious and more comfortable. ... and 20 luggage lockers, each secured by a combination code. Located adjacent to Gate 65, The Pier Business Class Lounge will roll out the welcome mat to Cathay Pacific business class passengers, Marco Polo Gold and Silver card-holders and their Oneworld Sapphire equivalents (including Qantas Frequent Flyer Gold). 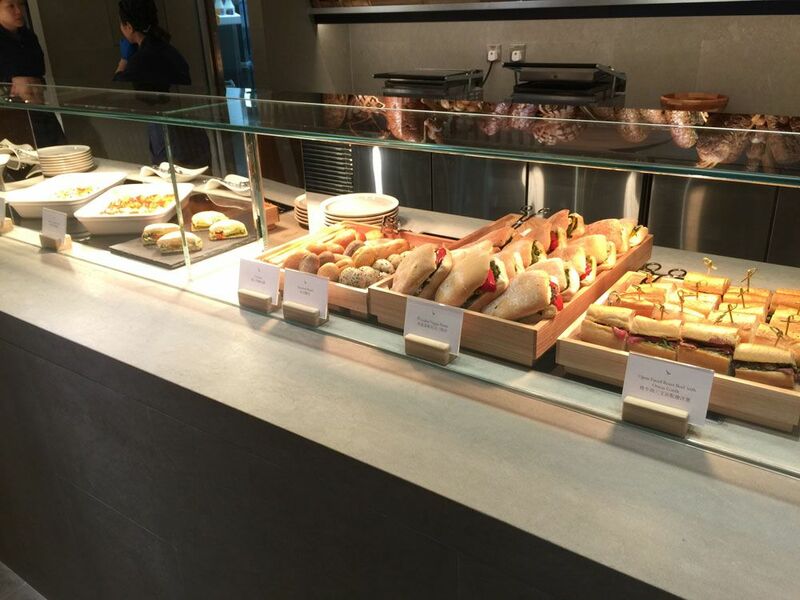 David Flynn travelled to Hong Kong as a guest of Cathay Pacific. 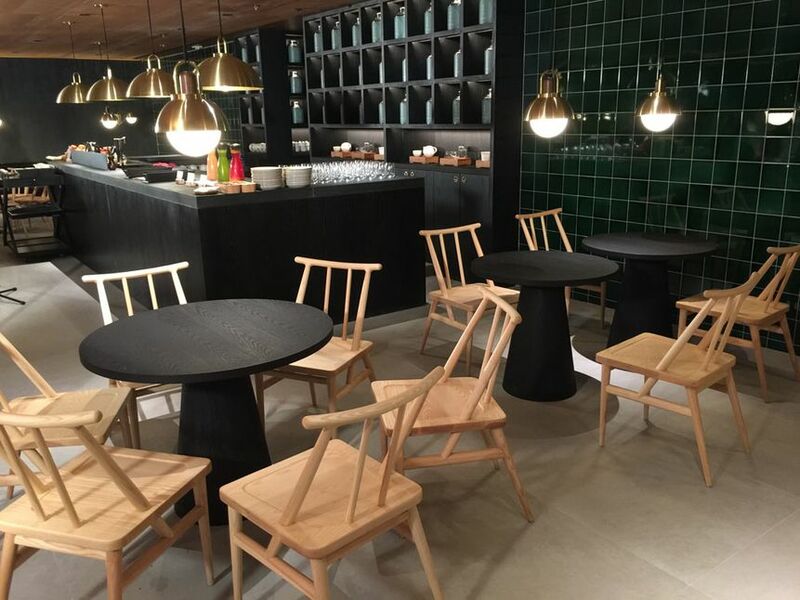 StudioIlse has done a great job using lighter tones to "lift" the lounge, and create a product that feels more spacious than its predecessor. Pale carpet isn't necessarily a stain magnet. 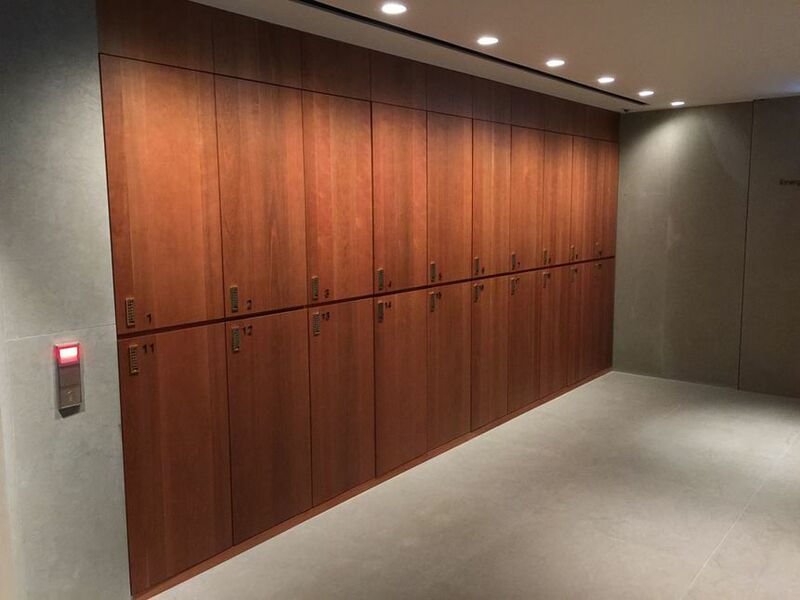 Timber doesn't necessarily soak up the light. 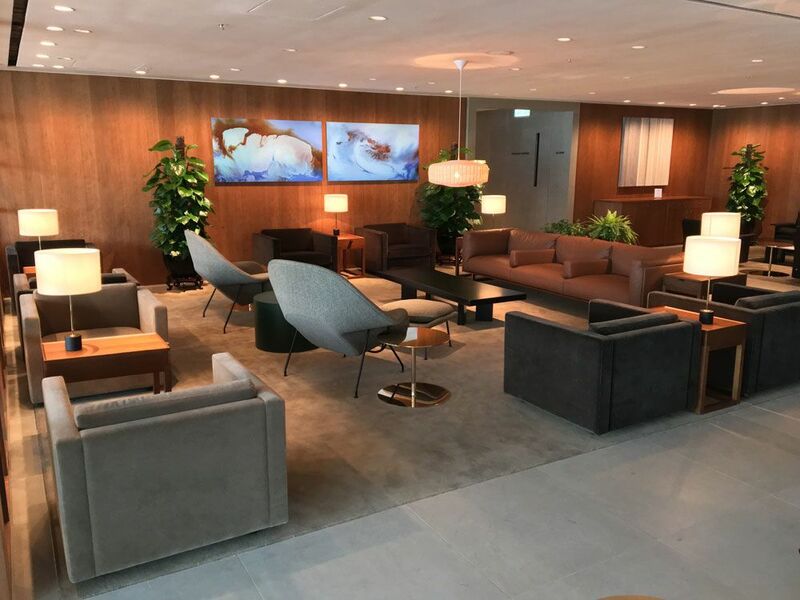 The entrance hallway in The Pier F-lounge (and BA lounge in SIN) is testament that natural light is not a make-or-break when it comes to airport spaces. 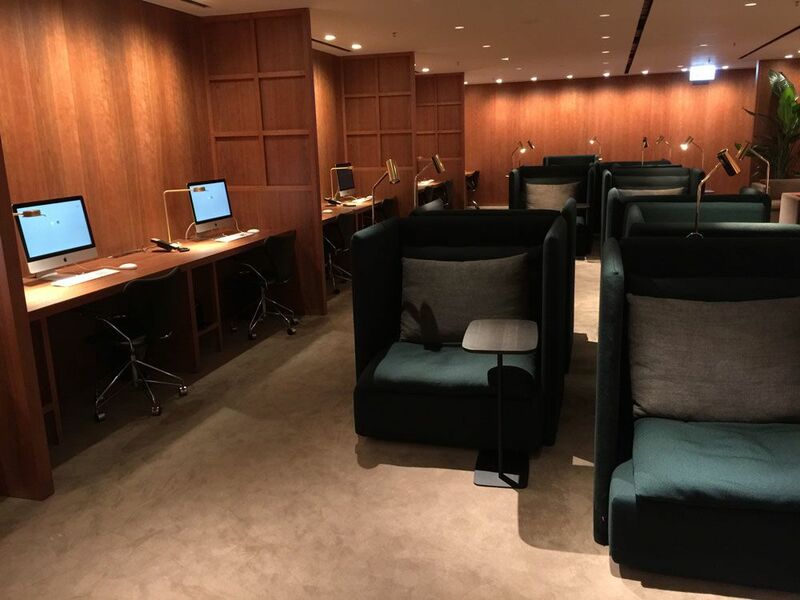 And the concept that travellers are often solo, and like privacy (as demonstrated by their workstations, seating, and nooks + crannies in other lounges). 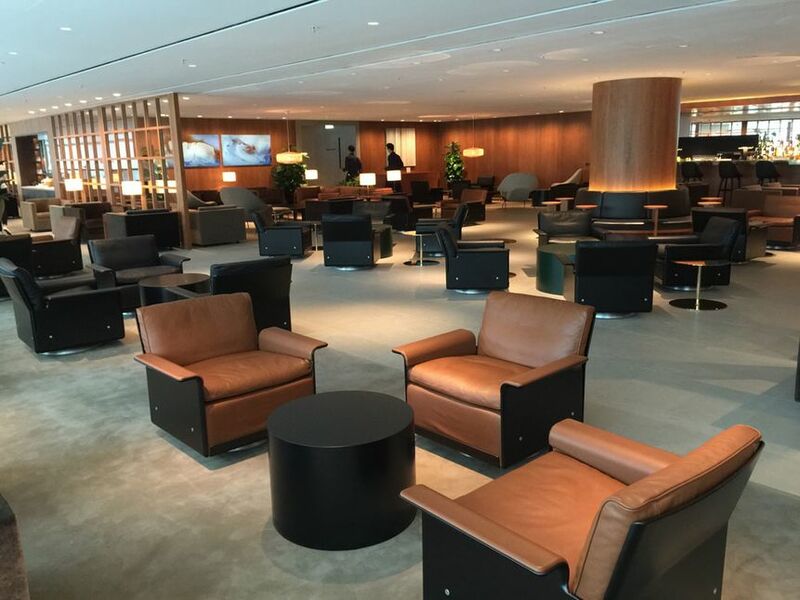 All this in tandem demonstrates once again that CX has "the right stuff" when it comes to lounge design. 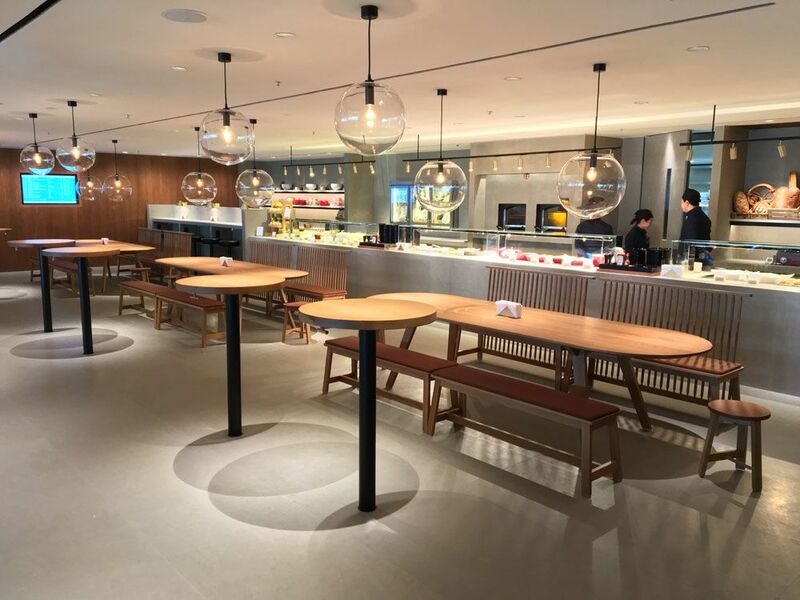 CX HKG has Solus workstations. 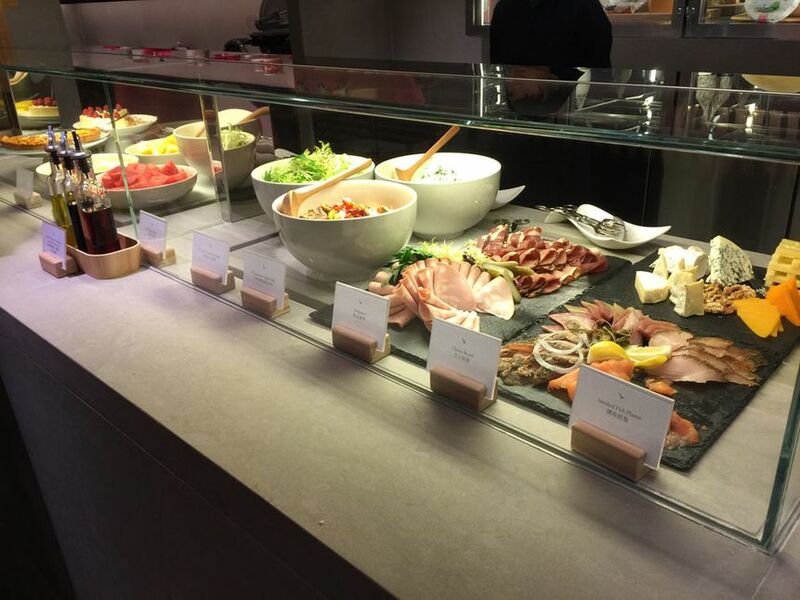 QF MEL has soul-less everything. 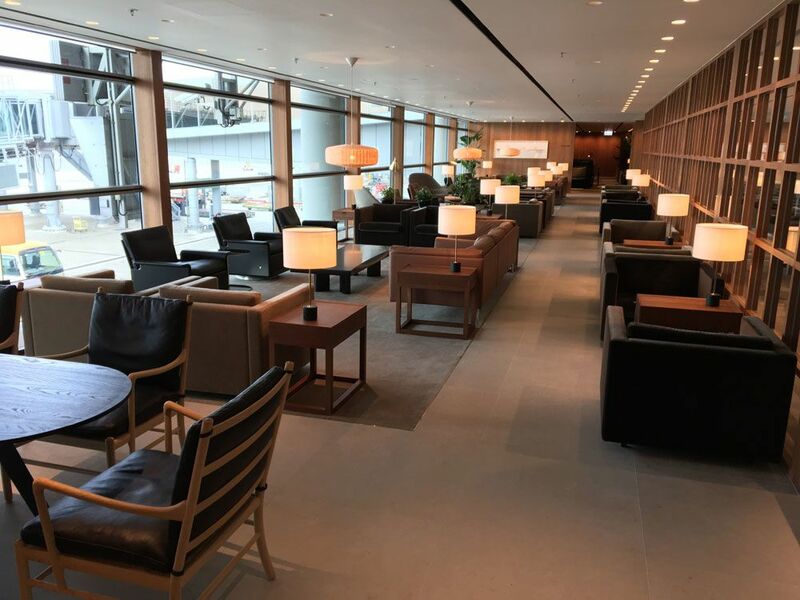 The main question is now that QF has it's new lounge at HKG & CX is oppening this amaxzing lounge, which do you think has the edge over the other? 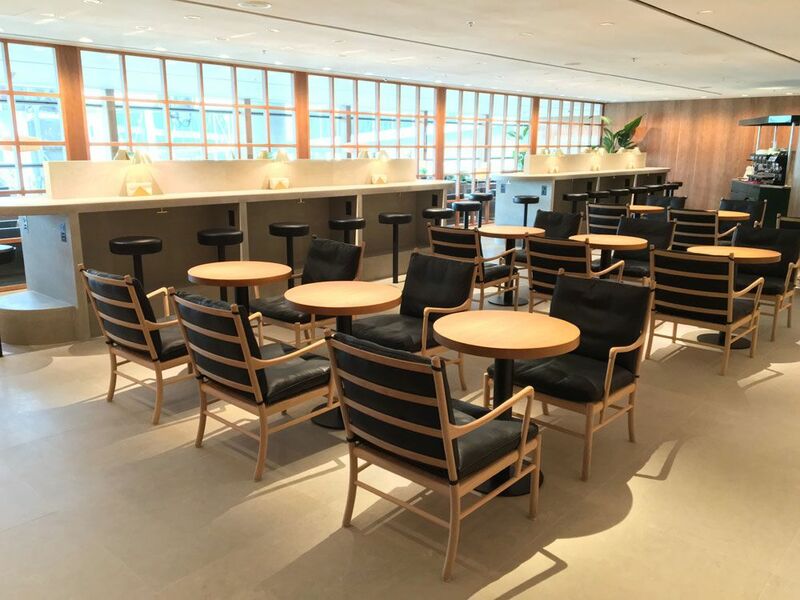 Of course CX have the edge given its their hub and that the QF lounge is primsrily intended to get the pax ready for the return back Oz way. 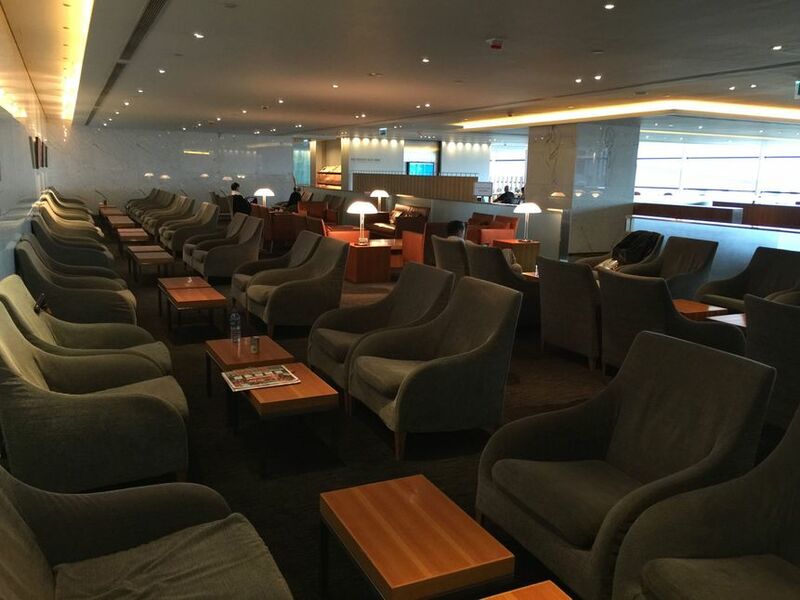 Just like how QF would have the edge in SYD even if CX made a good lounge. 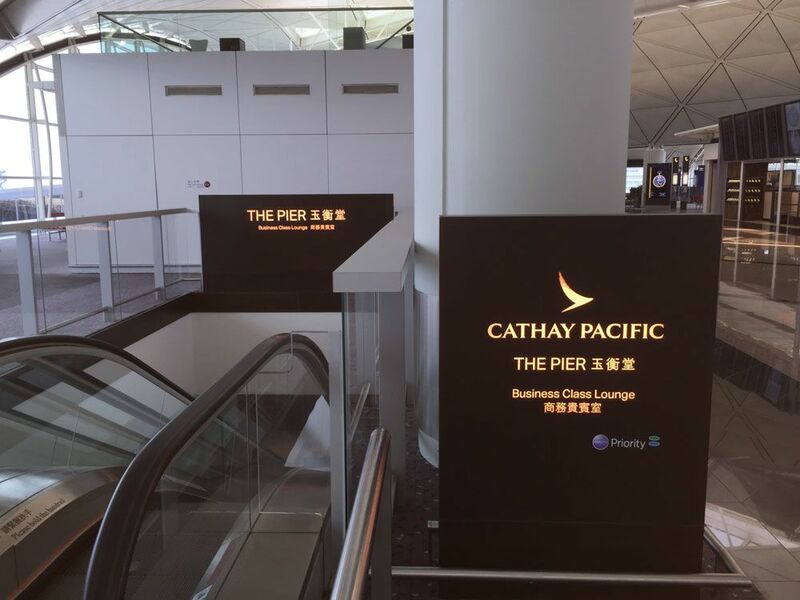 So... in the past I always used THE WING - it sounds like THE PIER is where I will be heading next time I'm in HKG. 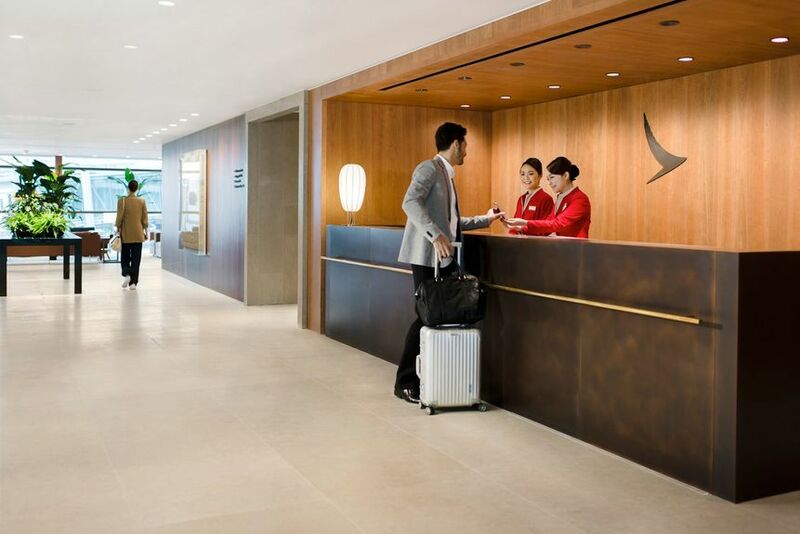 Do you know if CX is planning to revamp THE WING eventually? The Wing and The Pier are at opposite ends of the airport, so it's largely going to depend on the departure gate of your CX flight and/or how much time you have on your hands (eg if your CX flight departs from Gate 1 and you have time to spare you can indeed head down to Gate 65 to check out The Pier Business Class). 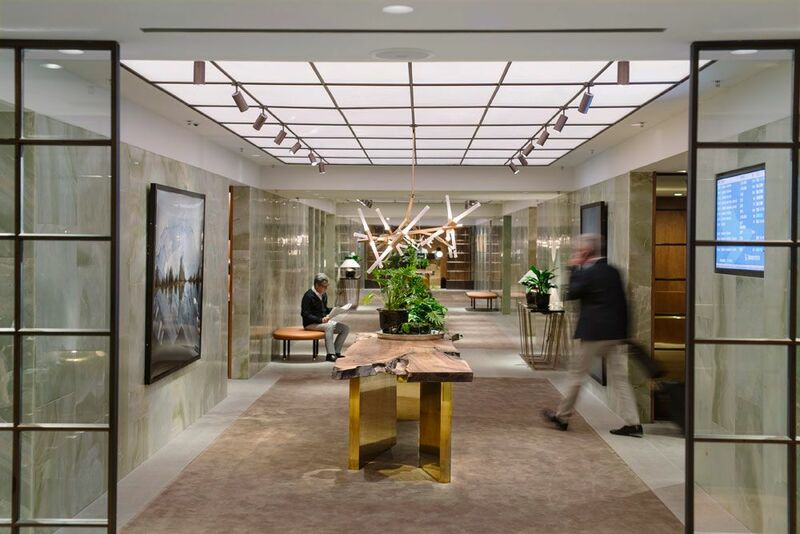 There are no plans to revamp The Wing, as it's a relatively new lounge. 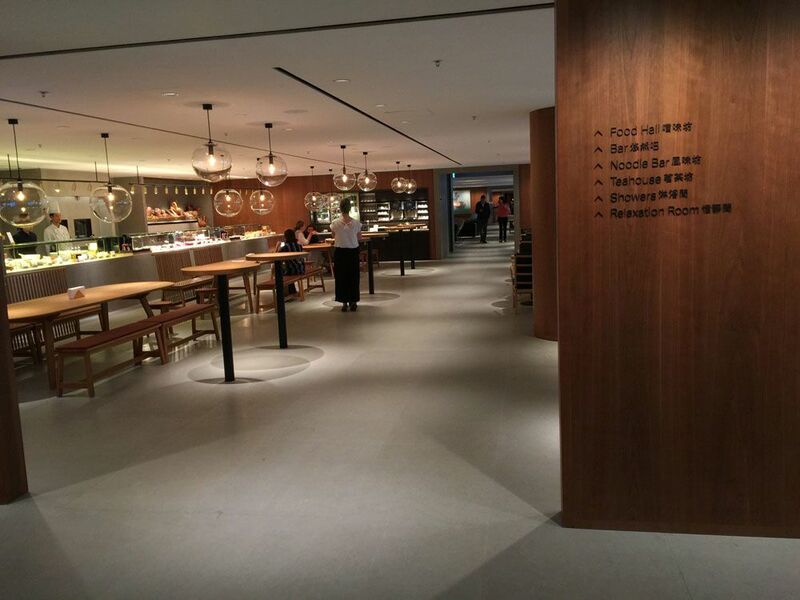 Comment on "Photos: Cathay Pacific's new The Pier Business Class Lounge"